Elaine Arndt, a resident of Minnetonka and Gull Lake, continues to make an impact, even after her passing on July 18th, 2018. 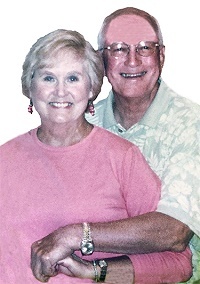 Preceded in death by husband, Doug Arndt Sr. and survived by three children, they loved helping others and felt it was imperative to lend a hand when possible to build community. Elaine worked in philanthropy for many years in Minneapolis at the McKnight Foundation and Minnesota Council on Foundations. After retirement, she continued to pursue her philanthropic endeavors in the Brainerd Lakes Area. After her husband's passing, the Doug Arndt Fund was created with the Brainerd Lakes Area Community Foundation. Elaine took great joy in giving back to the community through her thoughtful grants. The Women’s Center and the Alex and Brandon Child Safety Center were two of her biggest passions. She volunteered at both organizations and went to court many times to assist women when they needed a helping hand. Elaine also served on the board of the Brainerd Lakes Area Community Foundation from 2005-2012. After Elaine’s passing, the balance of their Fund was granted to the Women’s Center and Alex and Brandon Center at the family’s request. Doug and Elaine shared their charitable giving philosophy and enjoyed giving to organizations and attending fundraising events. Their daughter, Susan Mark said, "Dad and Mom were probably ahead of their time in their beliefs about giving and in helping the community be strong and diverse." Local organizations received thousands of dollars from the Doug Arndt Fund including: Bridges of Hope, Women's Center of Mid-MN, Gull Lake Sailing School, BLACF Women's Fund, Crossing Arts Alliance, City of Nisswa, Lakes Area Music Festival, Gull Chain of the Lakes, Salvation Army and others. Doug and Elaine will be missed, but their charitable gifts and impact to the community continues to live on. Their children now aspire to continue their charitable inclination and want to continue to help others and care for their communities when possible, just as their parents did.